The official Sign Raising is a tradition that occurs in the middle of November. The sign with the Newsie logo and slogan of the year, advertises the beginning of the official drive. The Drive Chairman of the current term, is responsible for the slogan. The sign goes up at the southwest corner of Broad and High Streets. If you can make it down for the event, be sure to cross the street and check out the plaque on the building on the northeast corner. 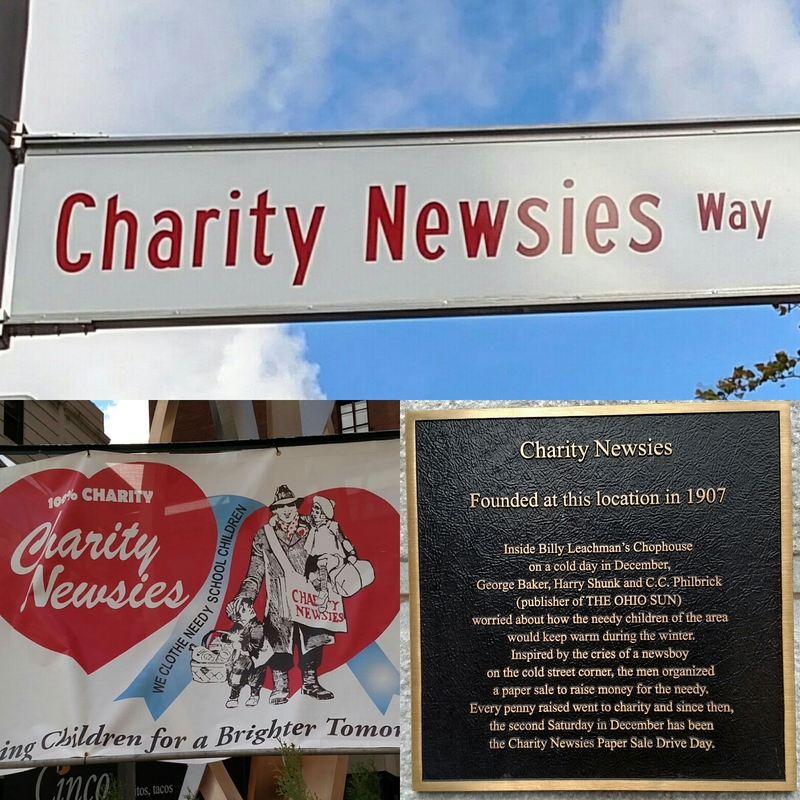 It is the location where it all began – where the idea of the Charity Newsies was born 111 years ago!! This year’s sign raising will be on Thursday, November 14th, 2019 at 12:00pm.